For the past 8 years as one of our pro-educational activities Spirifer Geological Society has been organizing the Lwowek Crystal Days together with the Lwowek`s Cultural Centre. 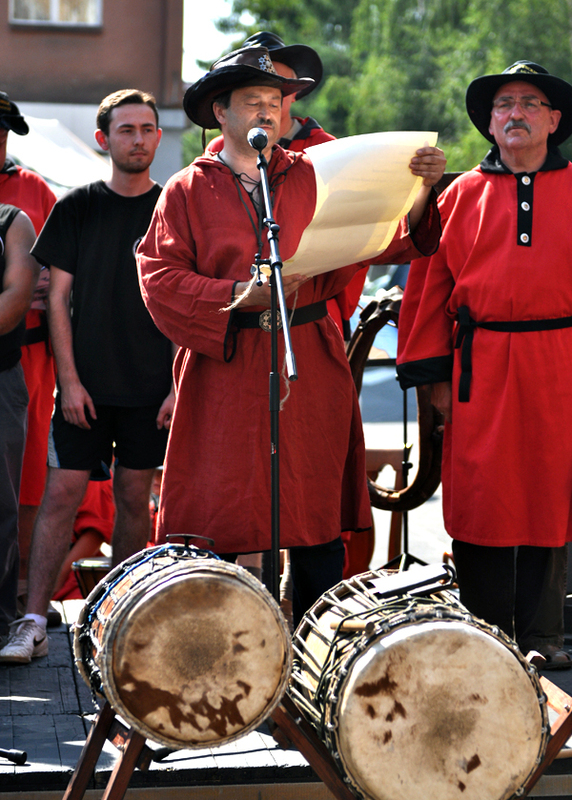 This year the event took place 16-18.07. 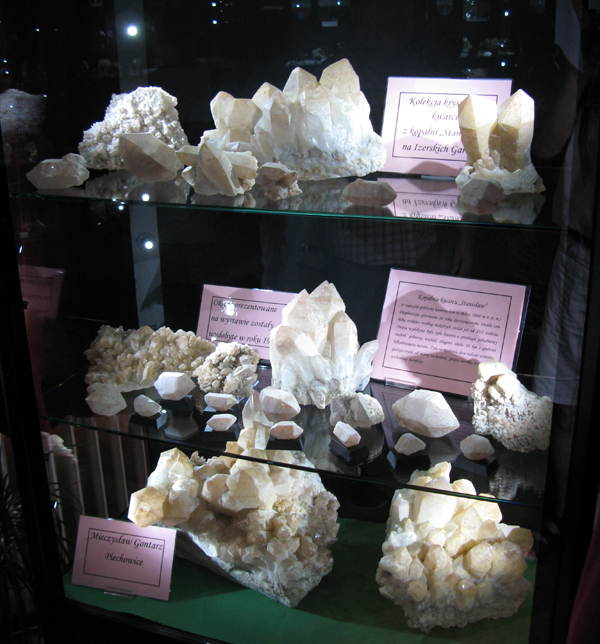 Lwowek Crystal Days are definitel not a ordinary mineral show, actually I don`t know if it should be even called a "mineral show"– this is huge entertainment and cultural event - apart from boothes with minerals you can also find there mineral exhibitions, concerts, competitions (mineralogical and non mineralogical such as Strong-Men), trips to the agate fields, slideshows, lectures, numerous stands with food, drinks, beer and everything else you can imagine, amusement park, bungee jumping and a lot of parties. 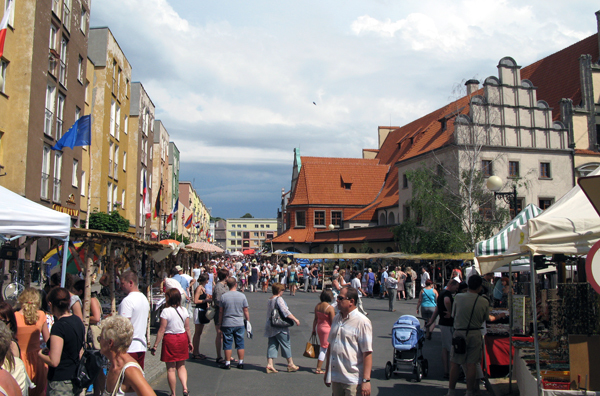 Every year about 40.000 people come to the town (while Lwówek Śląski has a population of about 10.000 inhabitants). 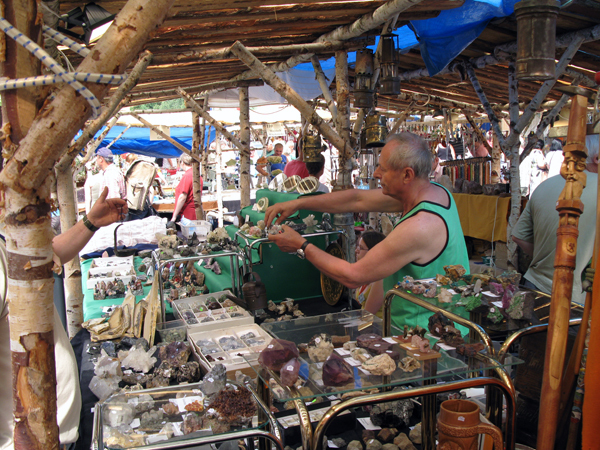 As Spirifer Geological Society we take care of the mineralogical/geological part of the event. 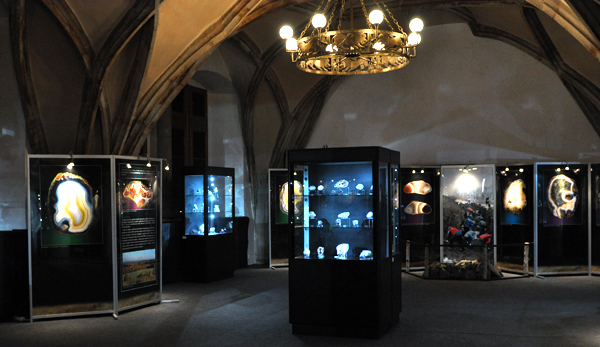 Every year we prepare a special exhibition, we try to change the Lwowek`s Town hall into a geological musem for as long as possible – this time the exhibition`s and the whole event`s main theme was "Agates from Ploczki Gorne", all of the best agates from this locality (which is situated only 5 km from Lwowek) were collected for the first time in the same place and showed to the public. Almost all of them were borrowed from the private collectors from poland and abroad. 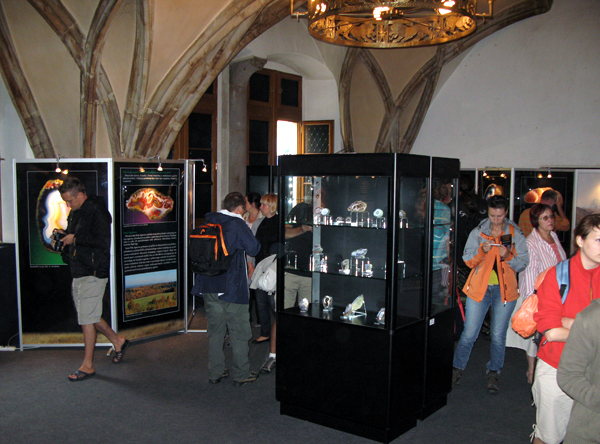 The exhibition was opened during Lwowek Crystal Days but it also stays in Lwowek Town hall for the next 3 months. Apart from that, there are also private collectors` exhibitions and an annual competiotion is held – the owner of the best exhibition choosen by the jury wins a money prize. 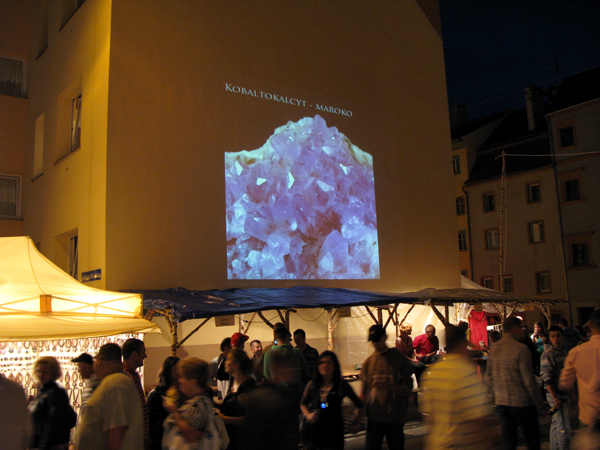 This time the best exhibition was Andrzej Korzekwa`s ``Minerals of Strzegom Sobotka Massif`` (photos below). 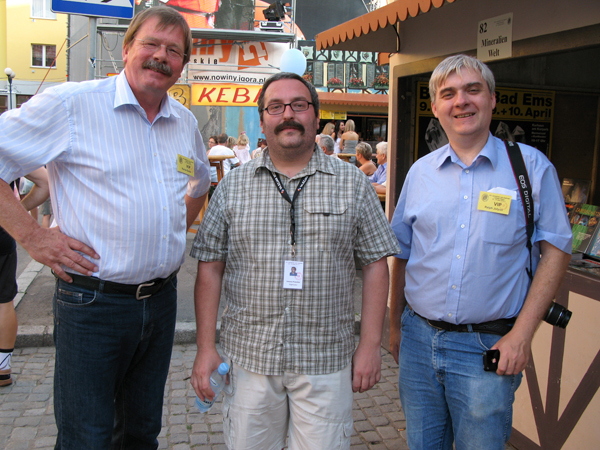 Andrzej received also a free subscripion of Mineralien Welt from Rainer Bode who visited Lwowek for the second time. The other mineral-connected attracions were the trips to Agate fields, lecture about Agates from Ploczki Gorne by Tomasz Praszkier and Jacek Bogdanski (the authors of book "Agates from Ploczki Gorne" avalaible for free download here) and slideshow from the last trip to India by Tomasz Praszkier. The important part of the event are parties and meetings for collectors where we finally can meet and talk. 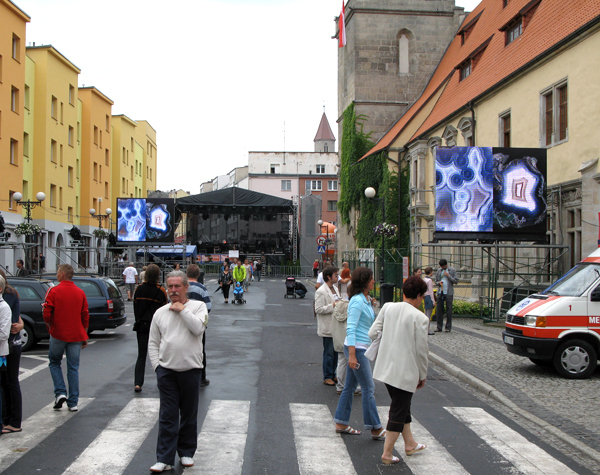 During the whole event agates` pictures were displayed on huge telebims situated in the central places of the town. This year we had some special guests in Lwowek – Jolyon Ralph – the founder of MinDat, Rainer Bode from the editor Mineralien Welt and Michel Schwab and Flore Cottel - the organizers of Sainte Marie aux Mines show visited us. 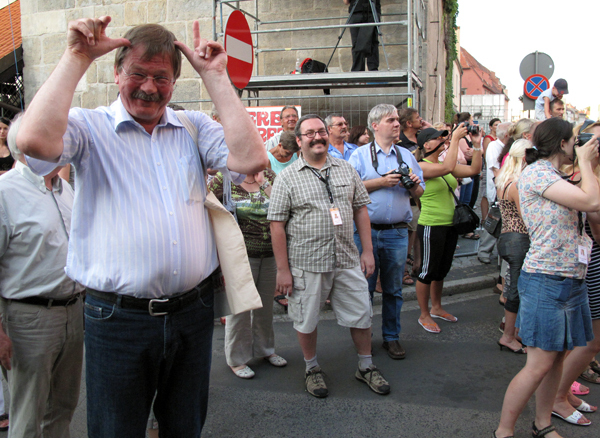 Here you can read the report from Lwowek on MinDat by Jolyon. 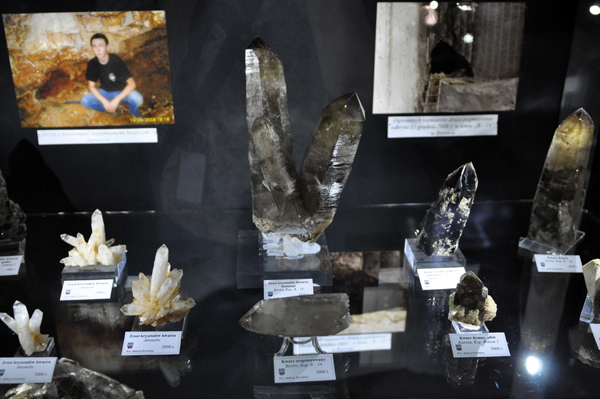 Minerals and mineral show is only a little but very important part of Lwowek Crystal days. 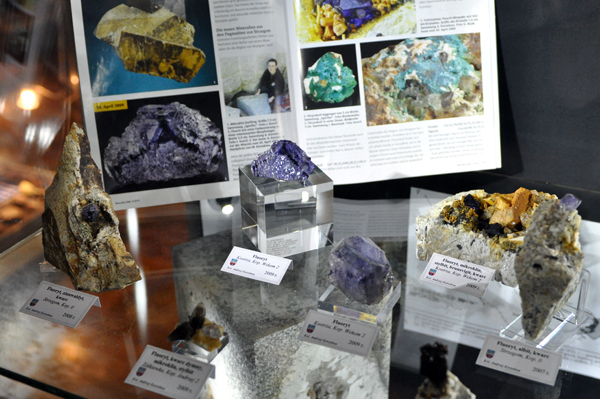 Of course we are aware that most of 40.000 people who come to Lwowek are mostly interested in concerts, beer and good fun, but our aim is to attract and introduce at least some of those people who have never seen and heard anything about minerals to this wonderful hobby and science. 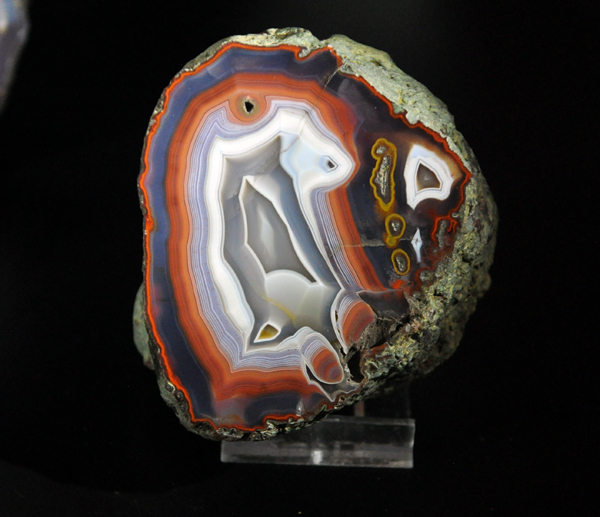 We think that events such as Lwowek Agate Summer are a great opportunity to propagate our passion and we hope that by such activites our society contribute to the promotion of geology and mineralogy among people, especially kidds. 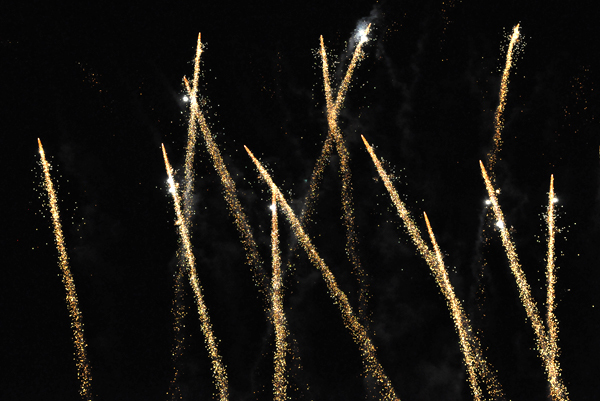 At the end of Lwowek Crystal Days there is always a wonderful fireshow. 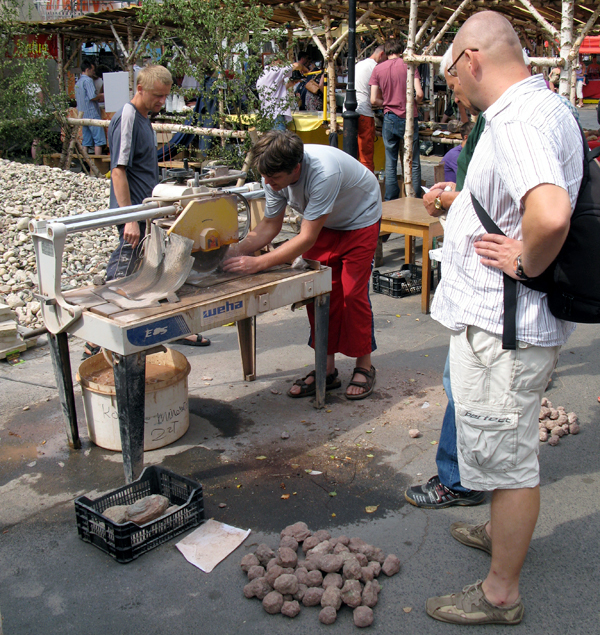 We hope to see you on the next Lwowek Agate Summer – 15.-17.07.2011! 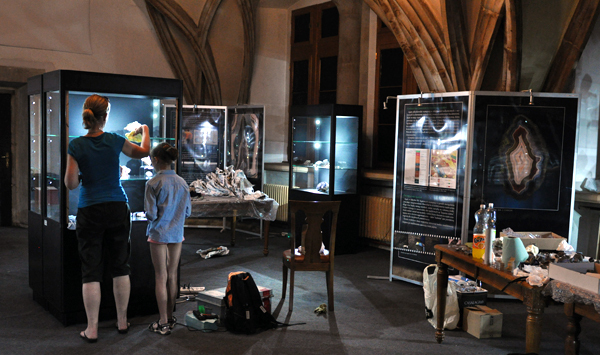 Jola and her doughter - Kasia preparing the main exhibition "Agates from Ploczki Gorne". Fot. A. Gajowniczek. 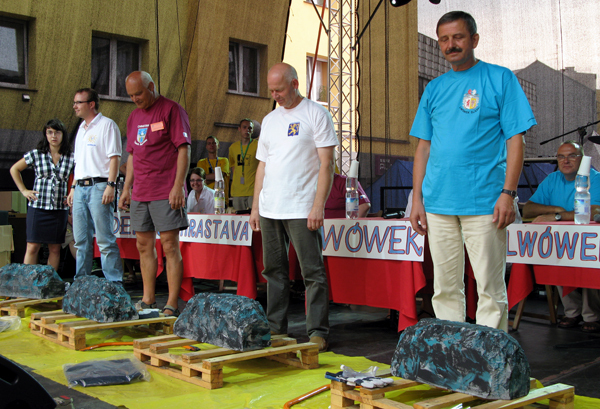 Jacek preparing the main exhibition "Agates from Ploczki Gorne". Fot. A. Gajowniczek. 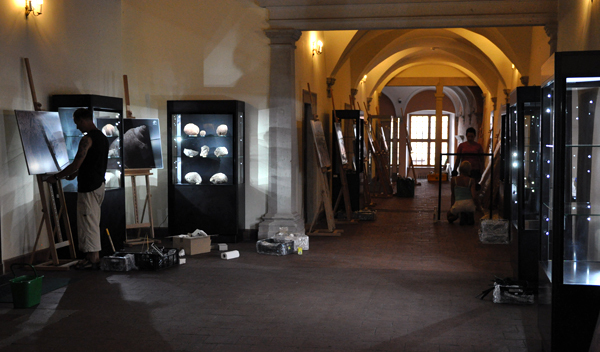 Piotr and his freinds preparing the fossils` exhibition "History from the depth of the Earth". Fot. A. Gajowniczek. The official opening of the Lwowek Mineral Show - all the exhibitors were welcomed in a polish traditional way with bread. Fot. R. Bode. 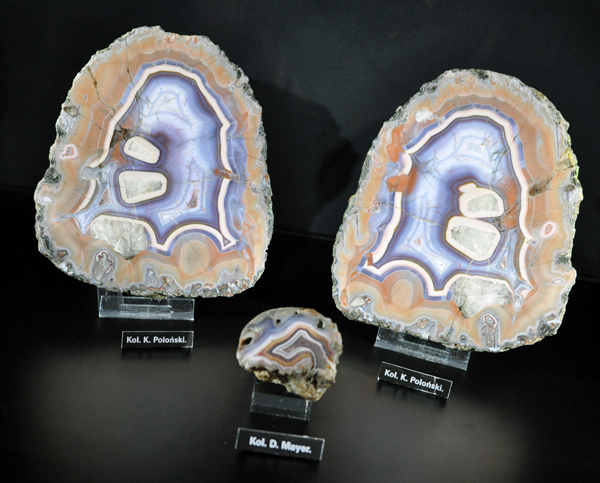 One of the Agates from Ploczki Gorne on the main exhibition. Fot. A. Gajowniczek. 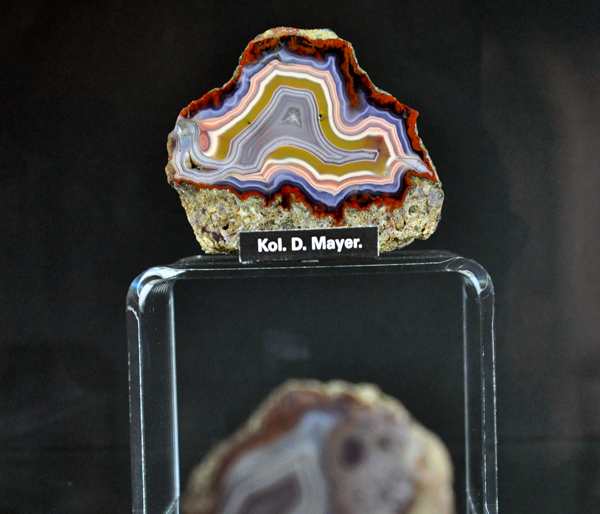 One of the Agates from Ploczki Gorne on the main exhibition. Coll. 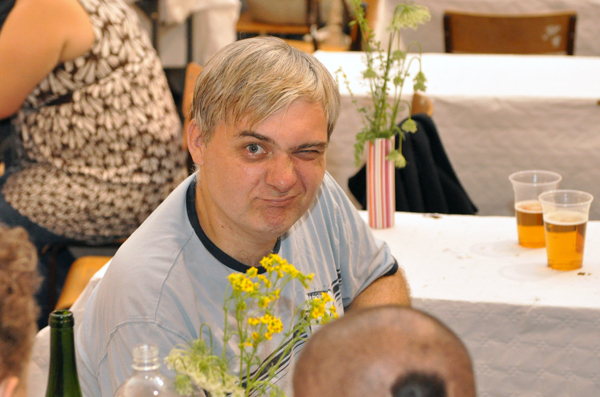 P. Cyberski. Fot. A. Gajowniczek. 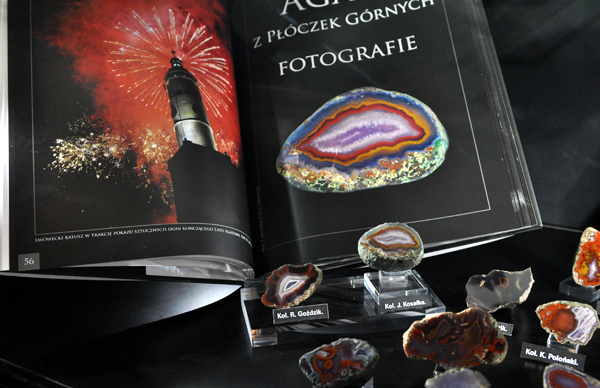 Agates on the main exhibition, in the becground the book "Agates from Ploczki Gorne" published last year. 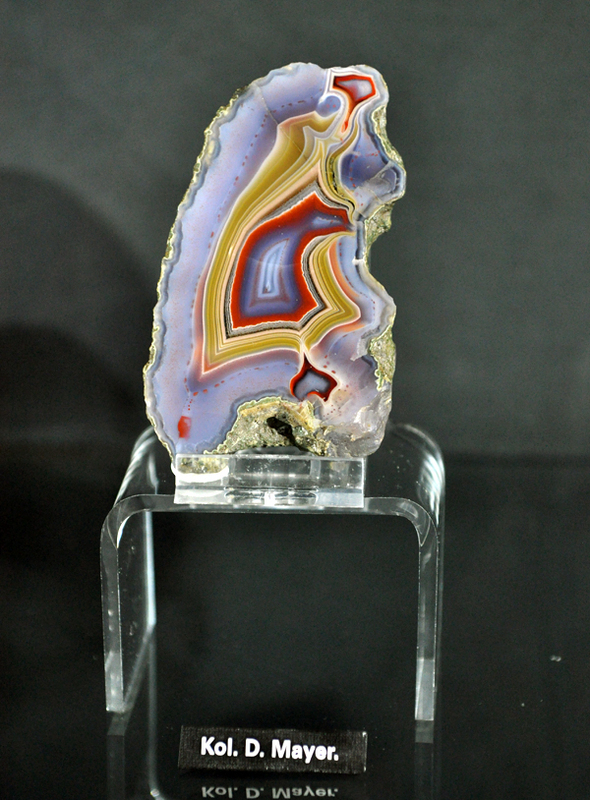 One of the Agates from on the main exhibition. 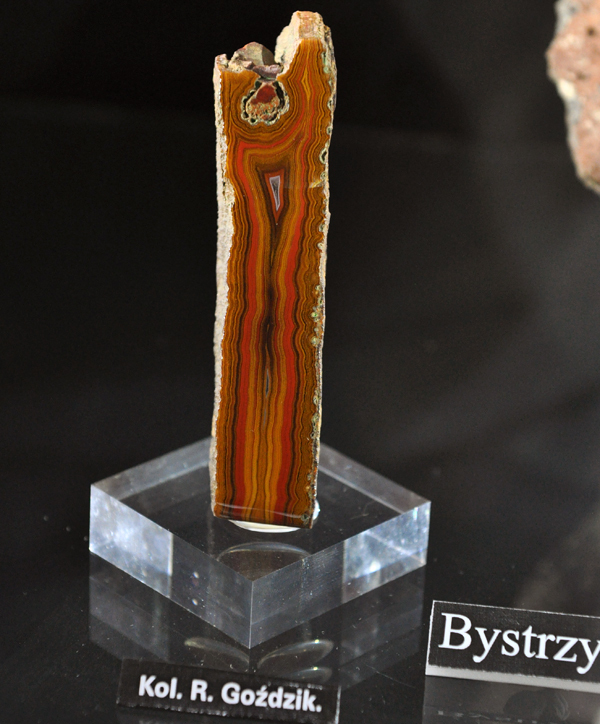 There was one showcase with agates from other polish localities, this specimen is from Bystrzyca. Fot. A. Gajowniczek. Showcase with agates from Ploczki Gorne containing prasioloite - the green variety of quartz. Prasiolite was first described from Poland from the area of Lwowek Slaski in 1990. Coll. Fot. A. Gajowniczek. The `competition showcase`. 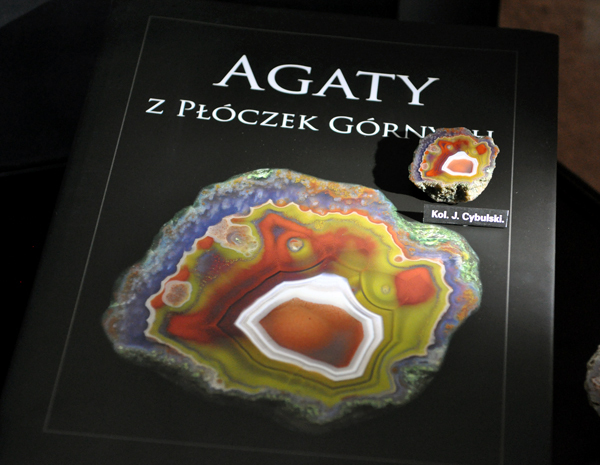 After they have seen the whole exhibition the visitors can vote which agate is from Ploczki - there is only one from this locality. Among the right answers there is a lottery and the winner gets a all inclusive stay in Lwowek during the next Lwowek Crystal Days. Fot. A. Gajowniczek. 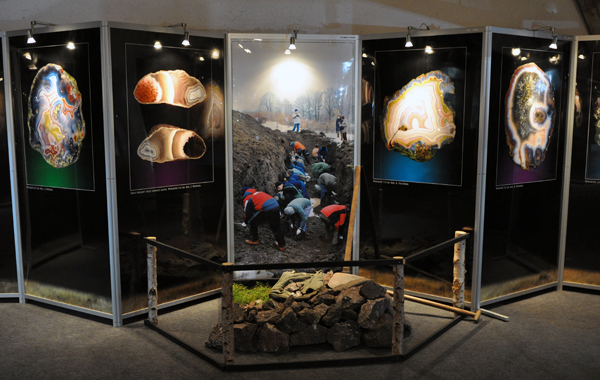 Part of the main exhibition; in the middle the photo from the lwowek collectors gathering when everyone could look for agates on the Ploczki fields in a trench digged by excavator. Fot. A. Gajowniczek. The exhibition is ready and waiting for the visitors. For. A. Gajowniczek. 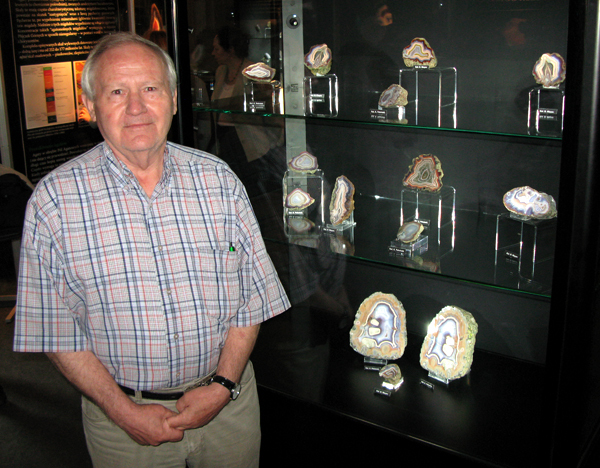 Ditrich Mayer - owner of one of the best collections of agates from Ploczki. 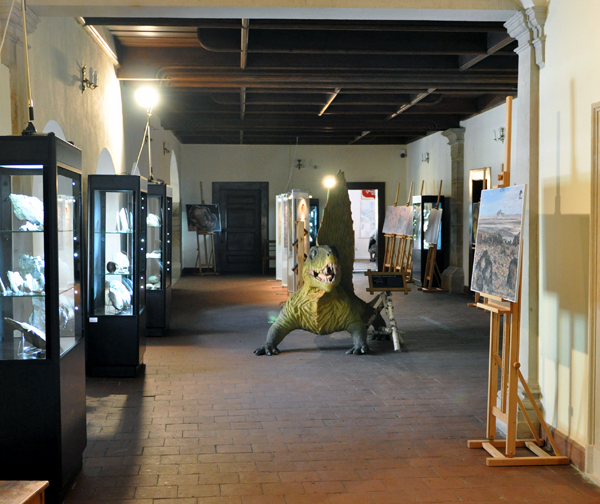 His specimens are displayed at the exhibition. Fot. R. Bode. 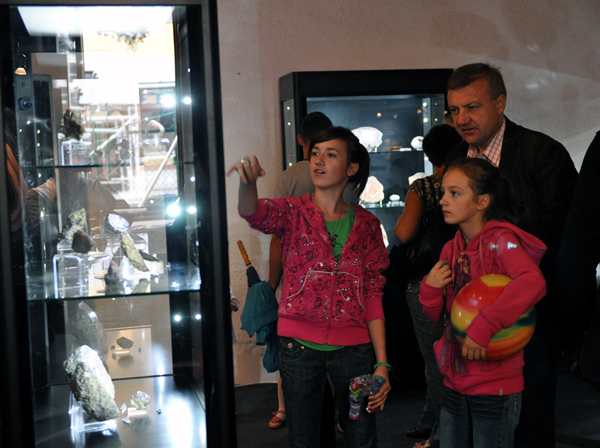 Visitors at the main exhibition - "Agates from Ploczki Gorne". Fot. A. Gajowniczek. 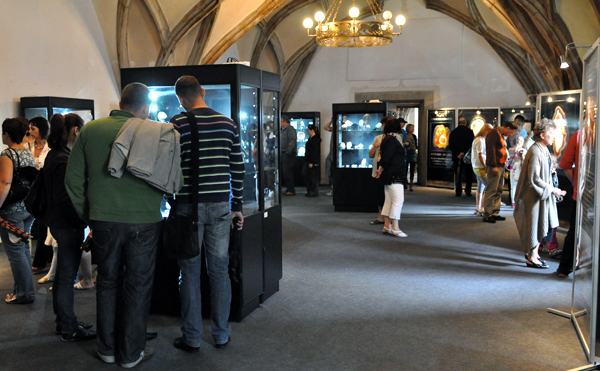 Visitors at the main exhibition - "Agates from Ploczki Gorne". Fot. R. Bode. 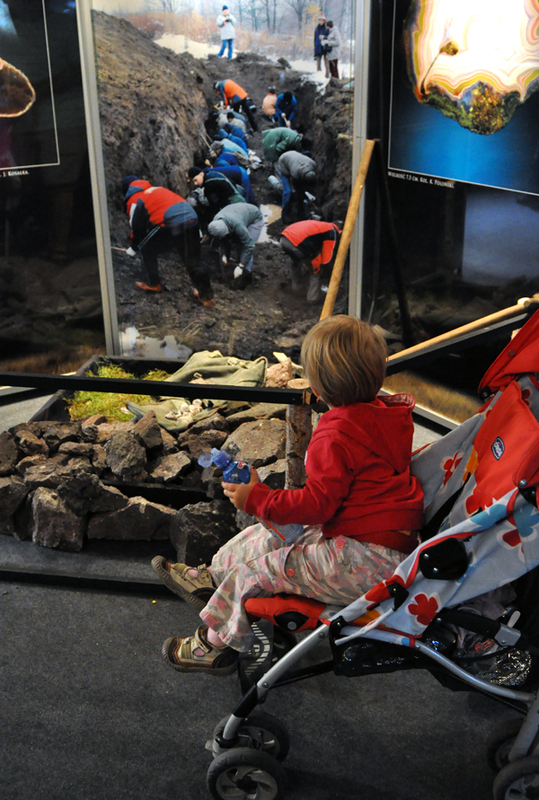 Exhibition "History from the depths of the Earth" consists of showcases with fosills specimimens and big photographs. 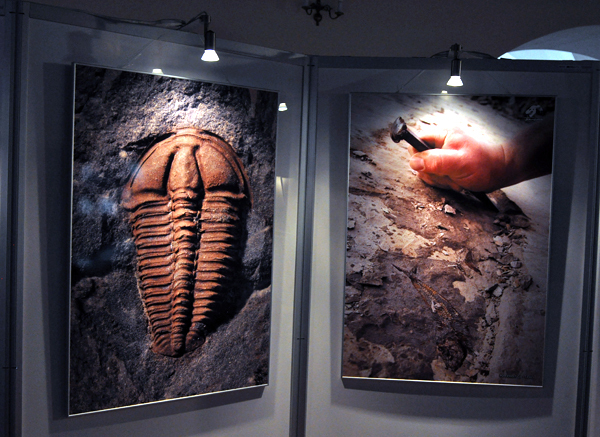 Specimens of fossils at the exhibition "History from the depths of the Earth". Fot. A. Gajowniczek. 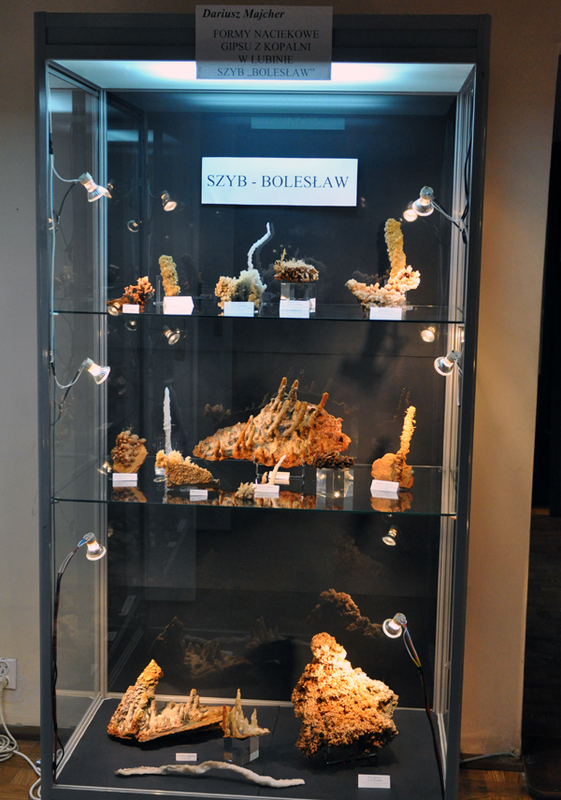 One of the showcases of the private collectors, this one with secondary gypsum stalactites from the Lubin copper mines. Fot. A. Gajowniczek. 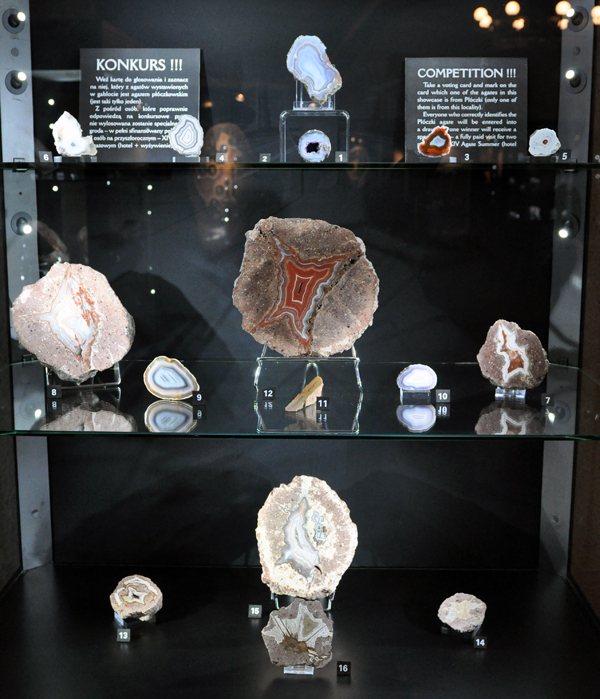 One of the showcases of the private collectors with quartzes from Izerskie Garby in Poland. Fot. R. Bode. 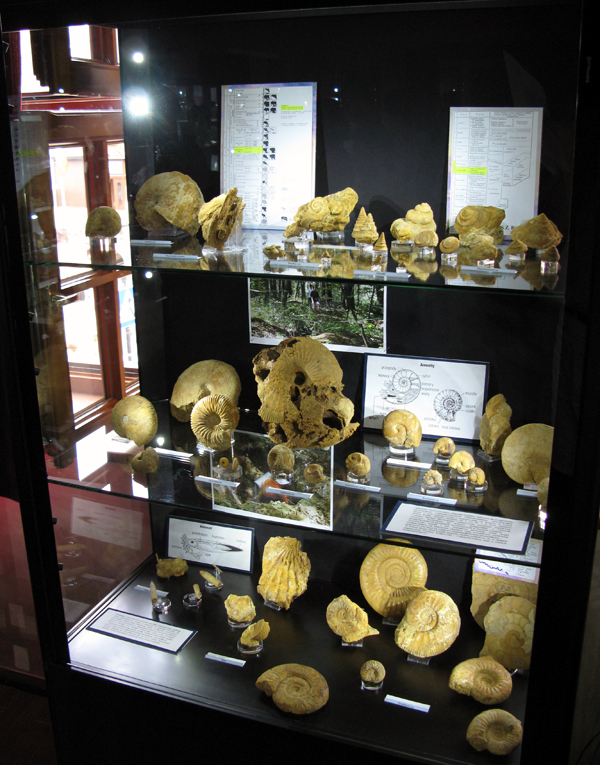 One of the showcases of the private collectors with fossils from the Cracow area. Fot. R. Bode. 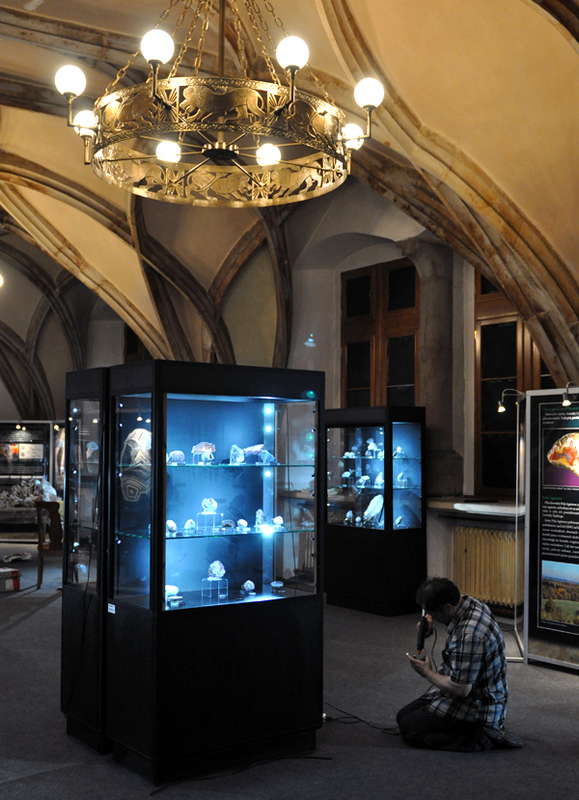 Exhibition "Minerals of Strzegom-Sobotka Masssif" by a young collector - Andrzej Korzekwa won the first prize in the competition.In the background an article from Mineralien Welt written together by Tom and Andrzej. Fot. A. Gajowniczek. 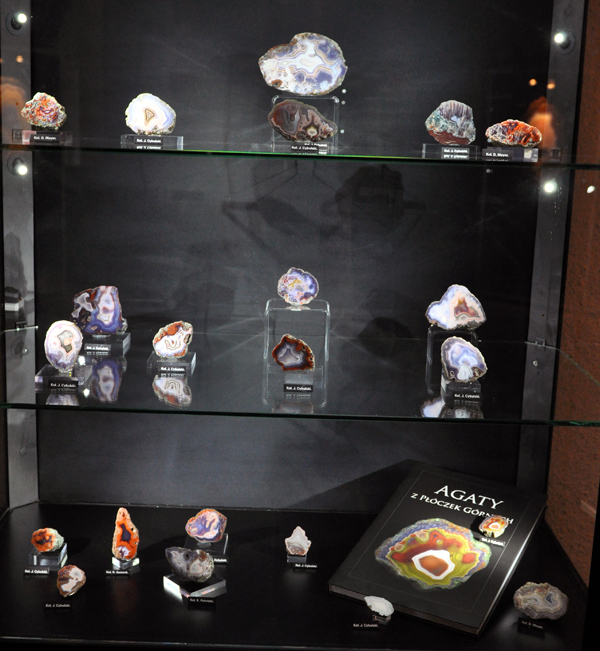 One of the showcases with Strzegom Minerals. A big block of granite containing pegmatite. Fot. A. Gajowniczek. 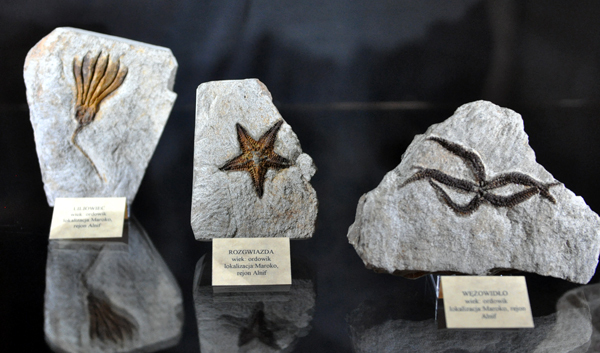 Exhibition "Minerals of Strzegom-Sobotka Masssif " by a young collector - Andrzej Korzekwa won the first prize in the competition. Fot. A. Gajowniczek. 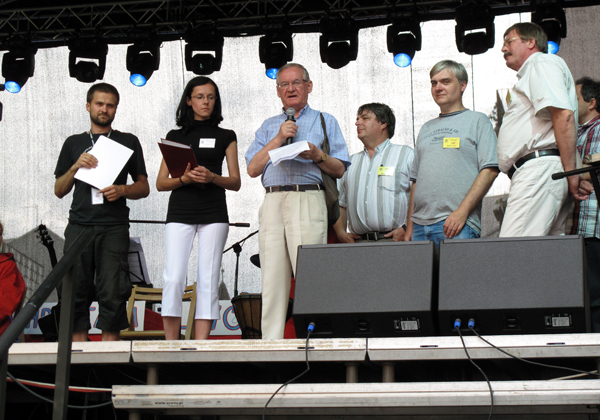 The jury - from the left Rainer Bode, Jolyoun Ralph, Michel Schwab, Prof. Michal Sachambinski, the representative of the local library where the exhibitions take place and Krzysztof from Spirifer are announcing the winners for the best exhibition. Fot. S. Hamann. 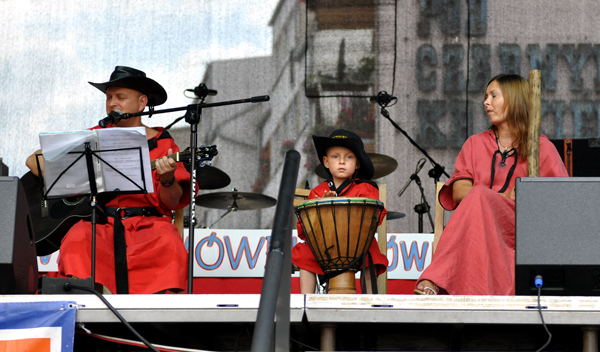 LLAVallon - the official band of the Lwowek Crystal Days. Fot. A. Gajowniczek. 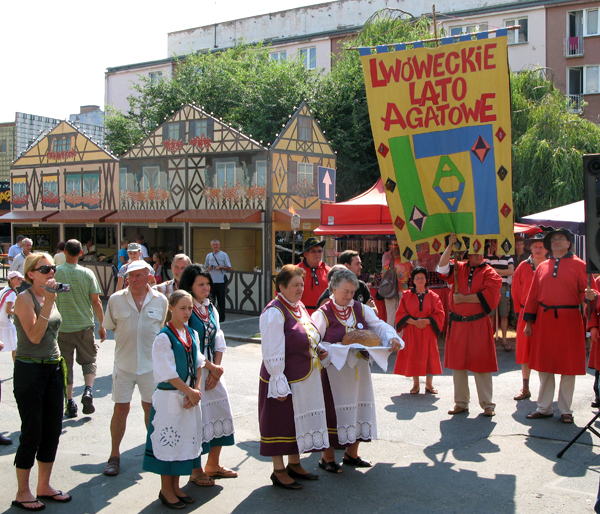 The Competitions between majors of the twin towns (the major of Lwowek). 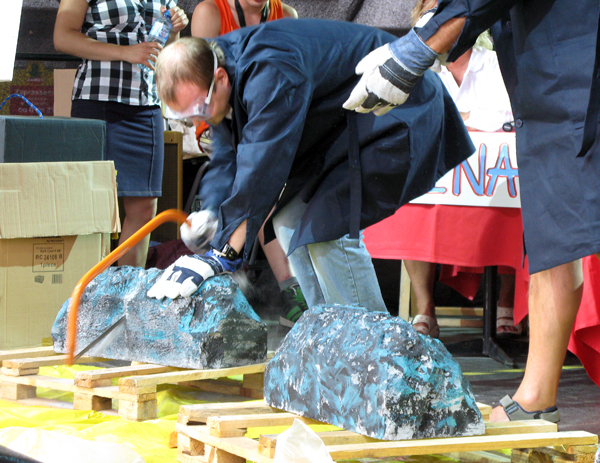 Here the participiants have to cut the "agate nodule" with a saw. Fot. R. Bode. Trip to the Agate fields. 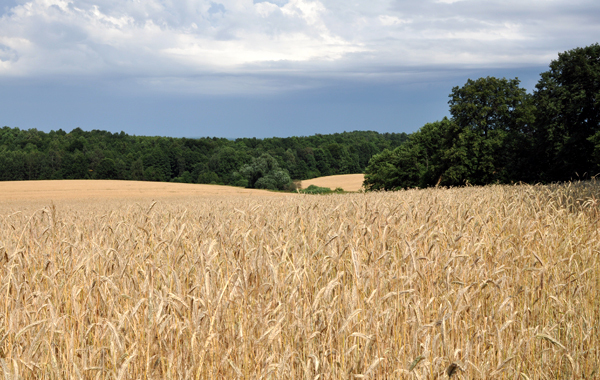 The view of the serroundings of Ploczki Gorne Agate fields. Fot. A. Gajowniczek. 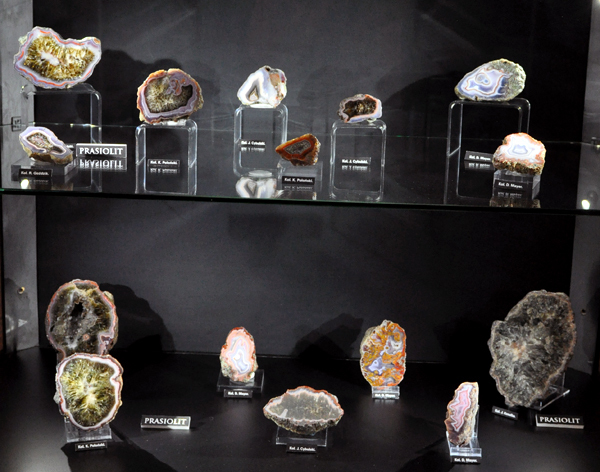 The mineral show. On the left the Town hall where the exhibitions take place. Fot. A. Gajowniczek. 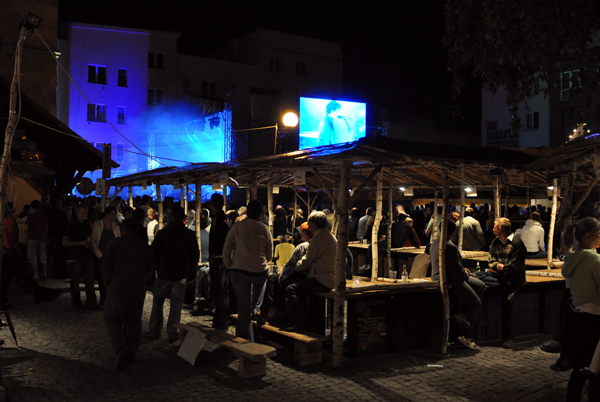 The main stage, town hall and the big telebims on which the agates were displayed during the whole event. Fot. R. Bode. Jolyon Ralph and me wathing the opening ceremony of the mineral show. Fot. R. Bode. 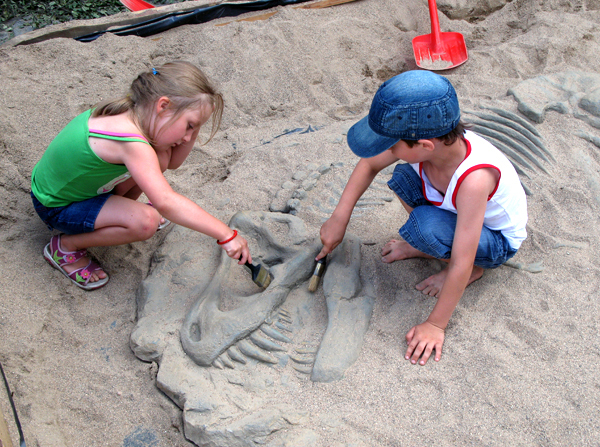 Kidds "preparing" the skeleton of a dinosaur in a sandpit on the main square. Fot. R. Bode. The booth of Mineralien Welt. Fot. A. Gajowniczek. 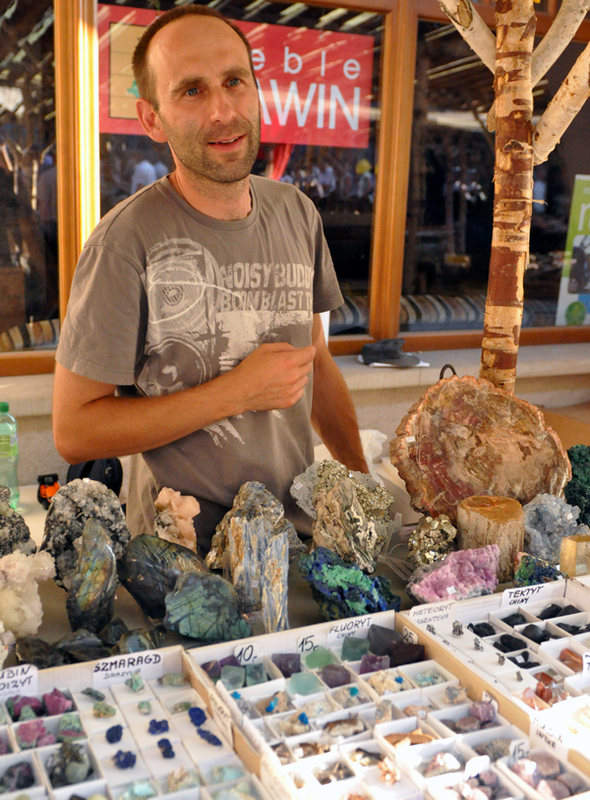 One of the exhibitor at the mineral show. Fot. R. Bode. Exhibitors` boothes at the mineral show. Fot. R. Bode. 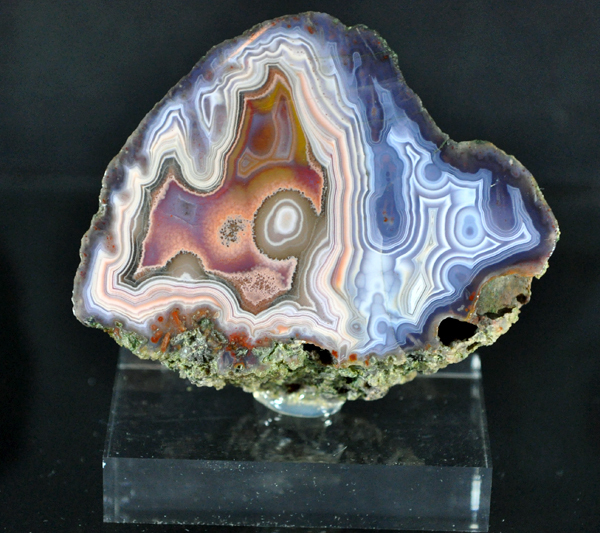 Everyone could cut the agates their found. Fot. R. Bode. 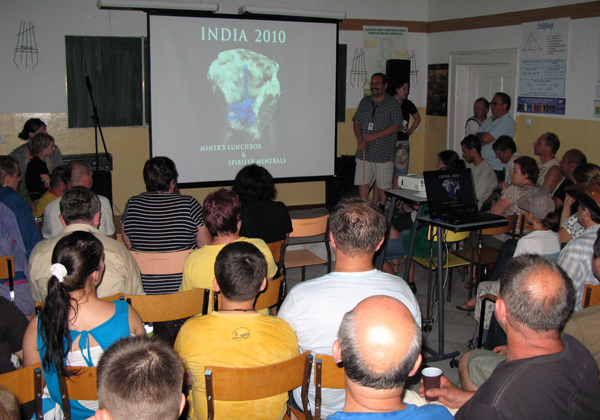 A talk about Agates from Ploczki given by Tom and Jacek Bogdanski. Fot. R. Bode. Rainer and Tom at one of the parties for the Agate Crystal Days guests. Cold vodka waiting to be drunk... it did not have to wait too long... Fot. S. Hamann. 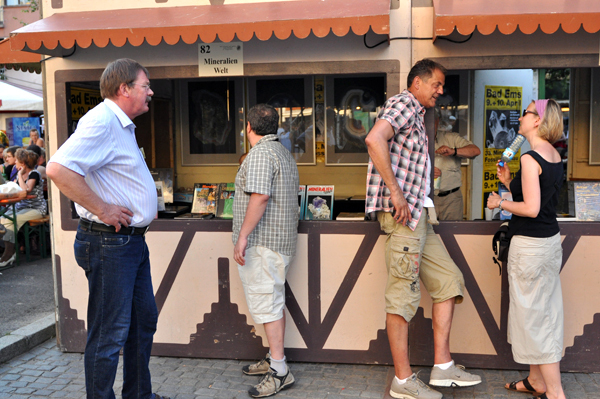 In the evening durng the concerts the mineral show changes completly. Fot. A. Gajowniczek. 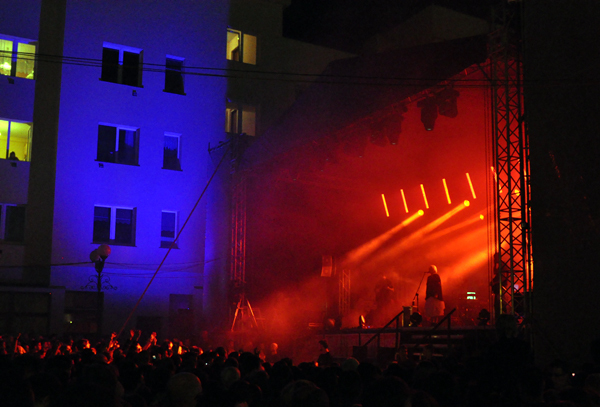 One of the evening concerts. Fot. A. Gajowniczek. 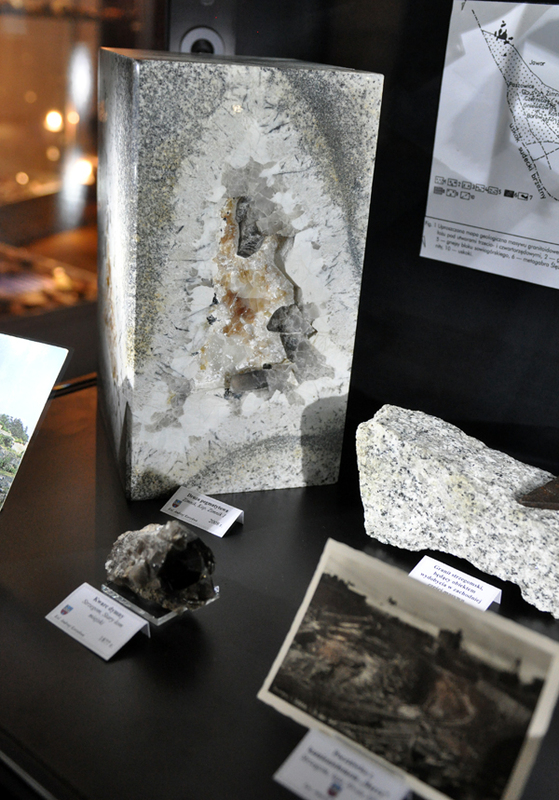 Photos of minerals were showed everywhere during the whole event. Fot. R. Bode. The big party for collectors and exhibitors. 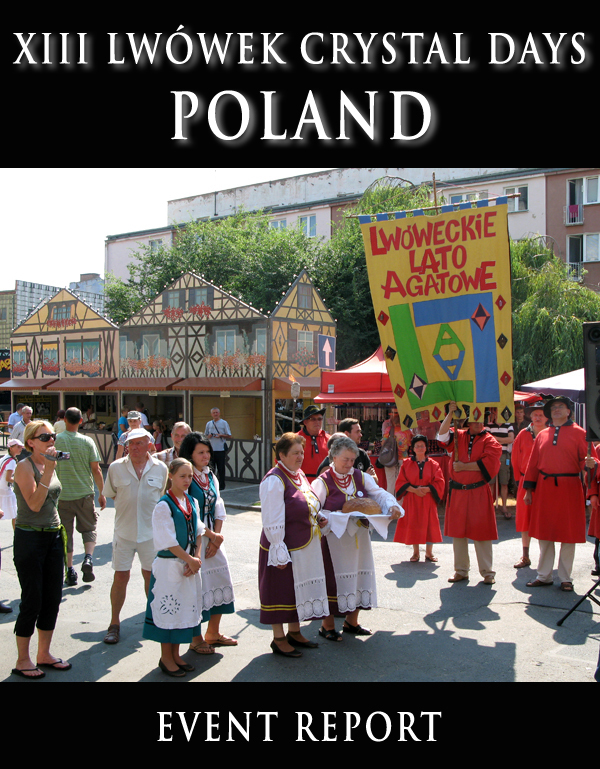 Everyone is invited there to have some beer and traditional polish food. It is the only opportunity for the collctors from the whole country to meet and talk with no hurry. 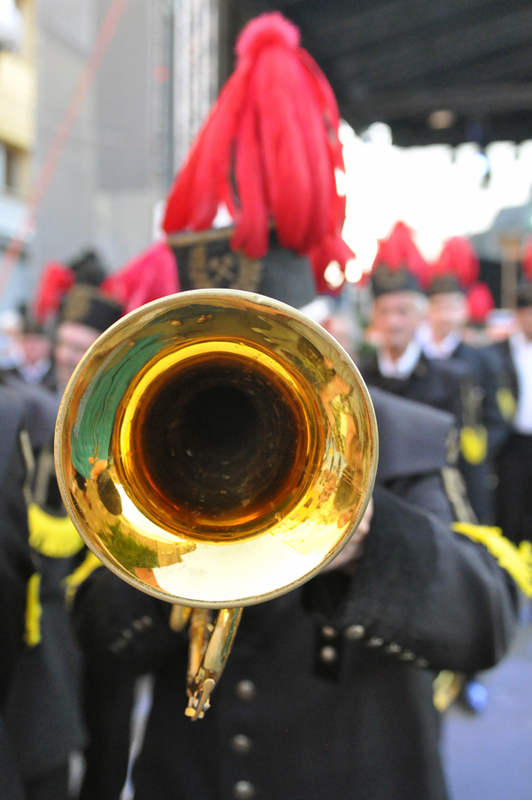 Fot. A. Gajowniczek. 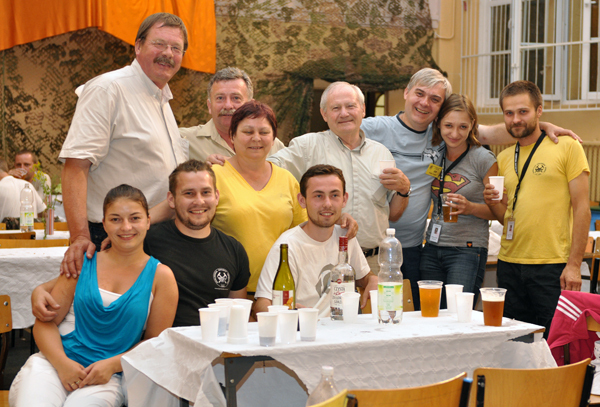 The collectors` and exhibitors` party. 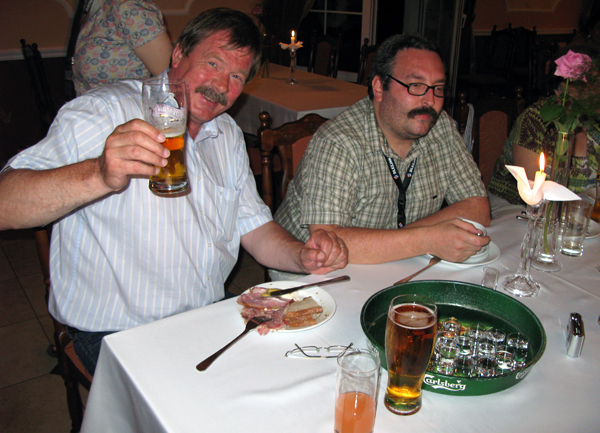 Jolyon is wondering if he prefers beer or another vodka :) Fot. A. Gajowniczek. 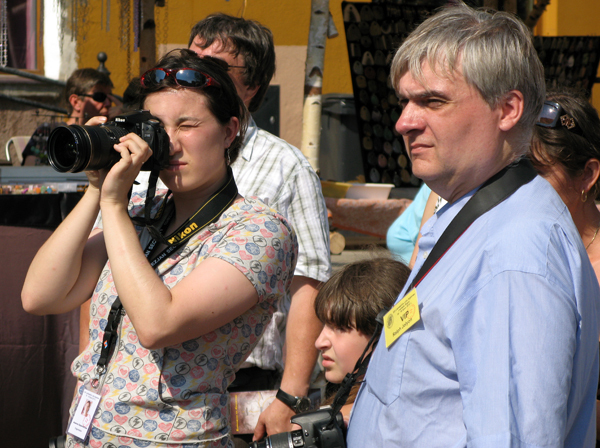 Andrzej (in the middle - the winner of this year competition for the private exhibition) with his whole family, Rainer Bode, Dietrich Mayer, Joyon Ralph, Agata Leszczuk and Krzysztof Dembicz. The pary finished at 6.00 AM. Fot. A. Gajowniczek. 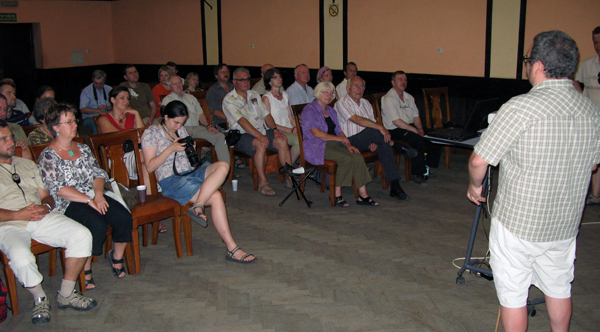 Tom`s slideshow about his last trip to India that took place during the party gathered a real crowd. Fot. R. Bode. The official closing ceremony. Fot. A. Gajowniczek. 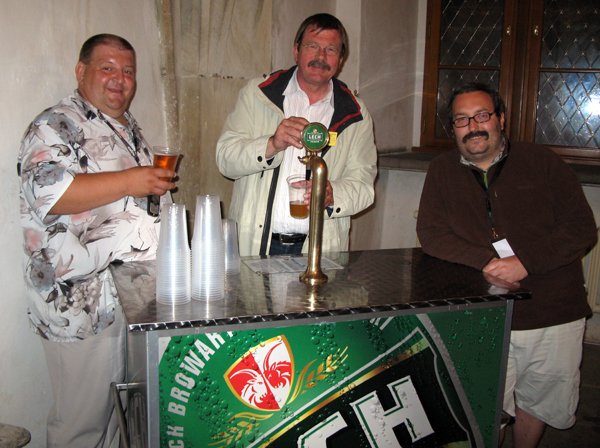 Self catering at the closing party; Mariusz, Rainer and Tom. Fot. S. Hamann. 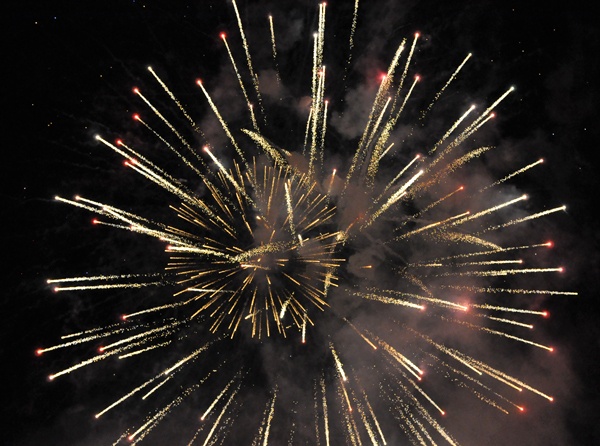 Wonderful fireworks show - the best part of the event (apart from the minerals of course ). Fot. A. Gajowniczek. Wonderful fireworks show - the best part of the event (apart from the minerals of course ). Hope to see you next year in Lwowek!! Fot. A. Gajowniczek.